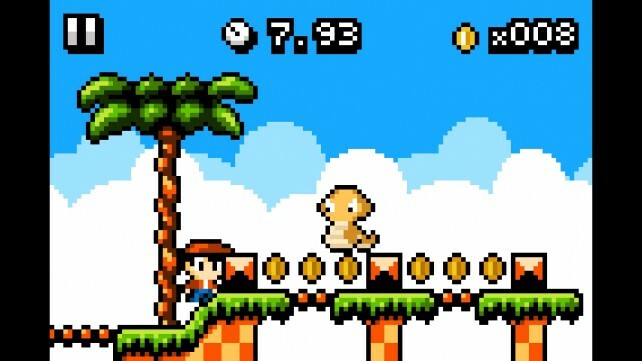 Kid Tripp ($0.99) by Michael Burns is an old-school, 8-bit platformer that will truly test your platforming skills. 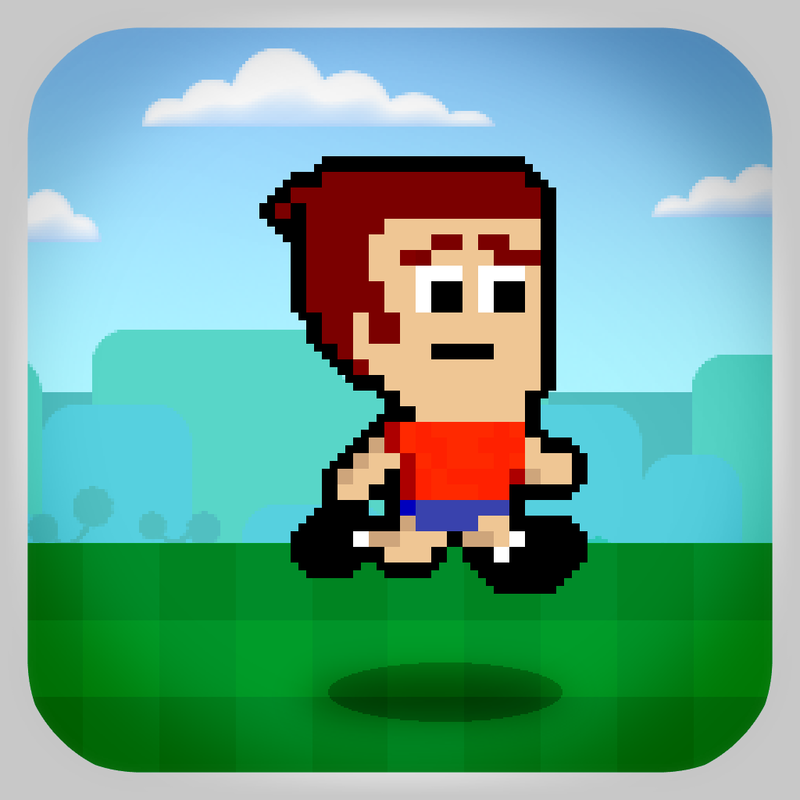 If you loved other games like Mikey Shorts, then this is right up your alley. Remember back in the golden days of gaming, when you would sit in front of your boxy television set with your NES, and beat (or try to) Super Mario Bros. in one sitting? You’d cheer once this task was accomplished, or end up throwing the controller at the television set in those moments of frustration. Yeah, those were good times. 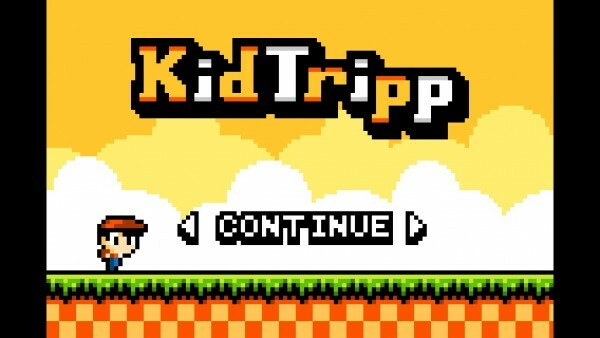 And you can relive all of this with Kid Tripp. If there’s one art style that I can never get enough of, it’s definitely the retro stuff. Seriously, I can’t resist some 8-bit and 16-bit charm. 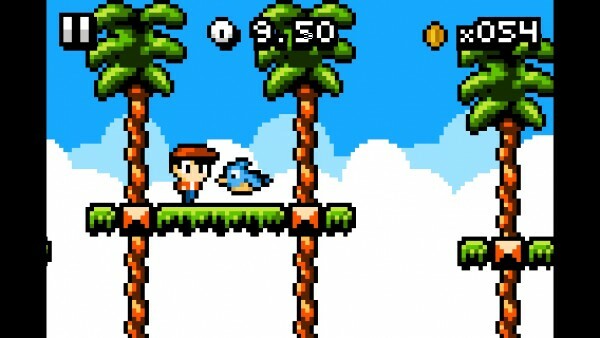 If this is the case with you as well, then the 8-bit graphics in Kid Tripp should definitely be appealing, as these are truly vintage visuals. Everything is big and blocky, which is part of the charm. 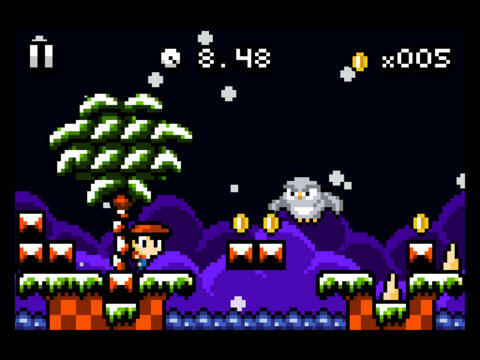 To add icing on the cake, the chiptune soundtrack is quite amazing. Kid Tripp definitely has the retro thing down pat. Now, if you’ve played games like Super Mario Bros. before, then you should know what to expect here. 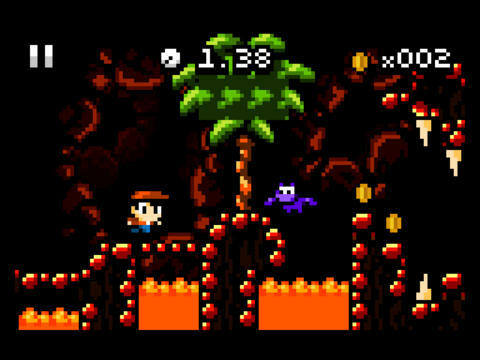 You start out with 10 lives, and will need to progress through the game in a continuous run — there are no checkpoints, or anything of that nature, just pure vintage gaming. However, you can choose to replay levels if you want, but to rank in leaderboards, it will take your total time into consideration. 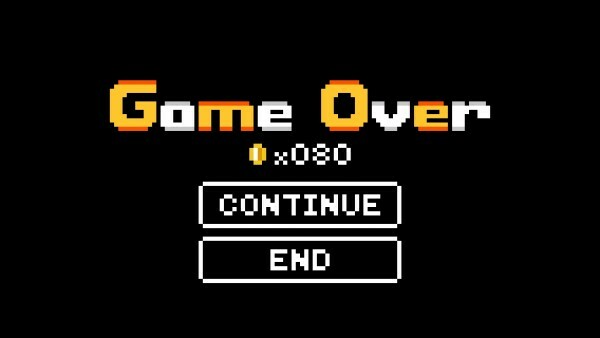 If you run out of lives, it’s game over, unless you have enough coins to continue. This is not a game for the faint-of-heart — you’ve been warned. 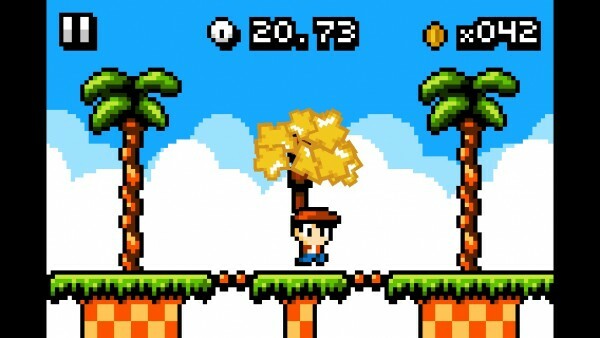 While most of Kid Tripp is like your traditional platformer, the controls work a bit differently. Rather than have you control Kid through the use of a digital d-pad, you will be running automatically, so the moving part is taken care of. 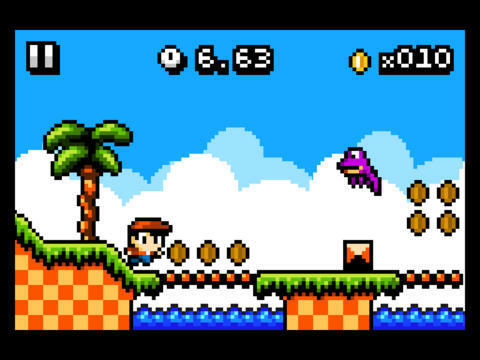 The only thing you need to worry about are the jumps and attack, which is throwing rocks in this game. To jump, tap on the left side of the screen; to throw rocks (you can easily spam this to make things easier), tap on the right. In the game’s description on the App Store, this is described as a “tough-as-nails” platformer, and they couldn’t be more on-point. 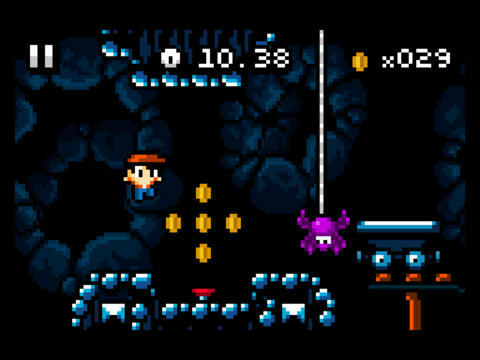 Since the running is done for you, the only thing you can do is jump and attack, and doing this will require perfect timing if you plan to go through all of the levels, or at least as far as you can. 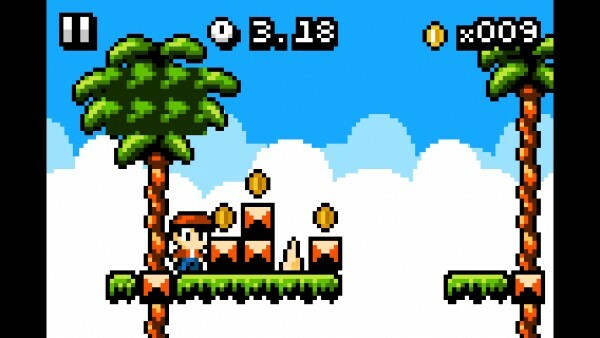 Blocks will block your path, requiring you to jump, along with moving platforms, and critters will be around making sure that you don’t reach the end. Players need to jump and attack at the right time not just to get to the end, but also to get the best time on that particular level as well. While the game doesn’t have points or stars, there is full Game Center integration. 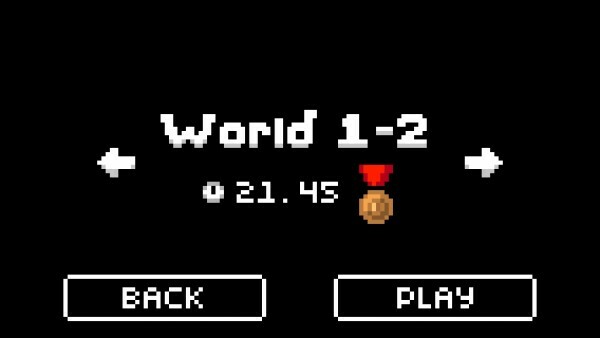 In order to rank on the leaderboard, you’re going to need to complete a full run (all levels), and then you can rank for total coins, time, death, and number of times completed. There are also 12 achievements to obtain. Yep, this game will definitely be challenging but keep you occupied for a long time, especially if you are a perfectionist. 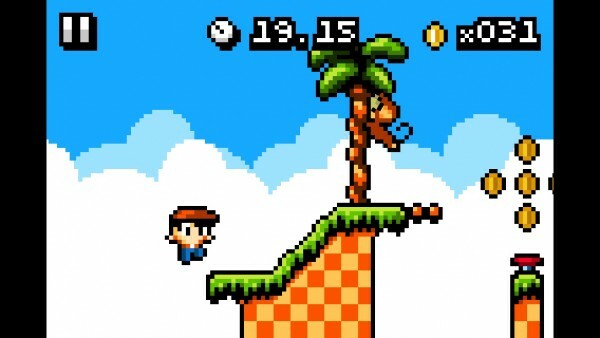 If you’re a fan of old-school platformers, and love a challenge, then I highly recommend that you pick this up. My only complaint about this game is the amount of times that it makes me want to throw my phone across the room — but in this case, that’s a good thing. Again, be warned — this is not for the faint-of-heart. 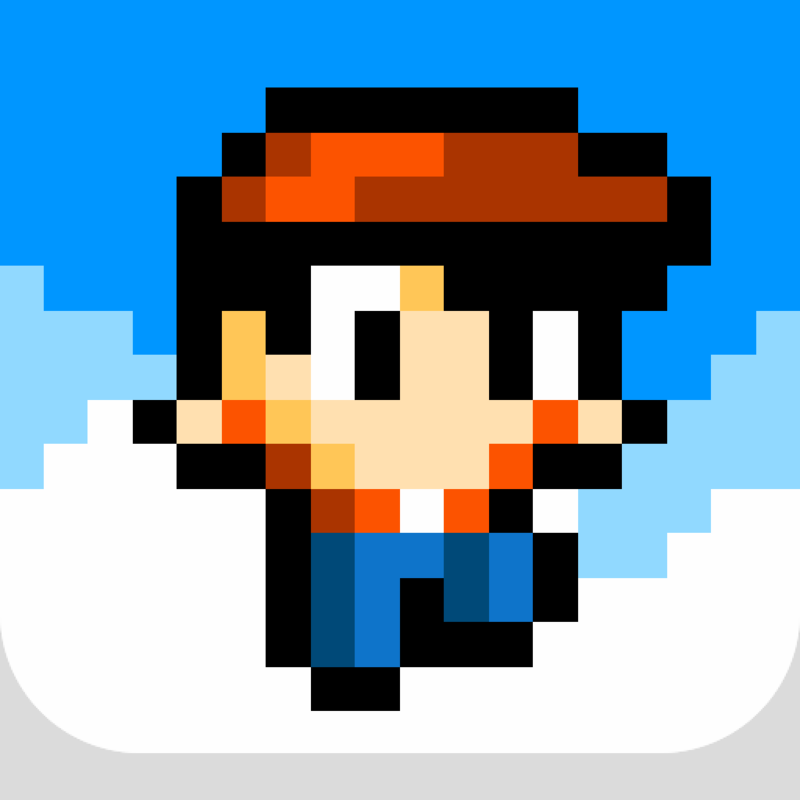 Find Kid Tripp in the App Store as a universal download for $0.99.